For other songs, see The View. The topic of this article may not meet Wikipedia's notability guideline for music . Please help to establish notability by citing reliable secondary sources that are independent of the topic and provide significant coverage of it beyond a mere trivial mention. If notability cannot be established, the article is likely to be merged, redirected, or deleted. "The View" is a single by American singer Lou Reed and American heavy metal band Metallica. 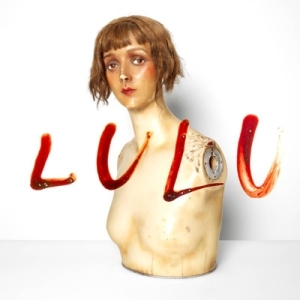 It is the only single taken from the studio album Lulu , released on September 27, 2011. Lewis Allan Reed was an American musician, singer and songwriter. He was the lead guitarist, singer and principal songwriter for the rock band the Velvet Underground and also had a solo career that spanned five decades. The Velvet Underground were not a commercial success during their existence, but are now regarded as one of the most influential bands in the history of underground and alternative rock music. 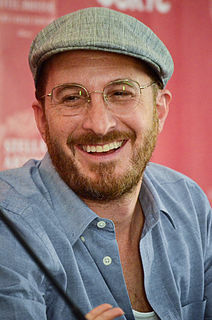 A music video directed by Darren Aronofsky and released on December 3, 2011,  shows Lou Reed and Metallica performing a short version of the song in a recording studio. A recording studio is a specialized facility for sound recording, mixing, and audio production of instrumental or vocal musical performances, spoken words, and other sounds. They range in size from a small in-home project studio large enough to record a single singer-guitarist, to a large building with space for a full orchestra of 100 or more musicians. Ideally both the recording and monitoring spaces are specially designed by an acoustician or audio engineer to achieve optimum acoustic properties. Corrosion of Conformity is an American heavy metal band from Raleigh, North Carolina formed in 1982. This band has undergone multiple line-up changes throughout its existence with guitarist Woody Weatherman as the sole constant member. Weatherman, founding bassist Mike Dean, founding drummer Reed Mullin, and vocalist and rhythm guitarist Pepper Keenan are widely regarded as its classic line-up. After a hiatus in 2006, Corrosion of Conformity returned in 2010 without Keenan, who had been busy touring and recording with Down, but announced their reunion with him in December 2014. "I'm Waiting for the Man" is a song by the American rock band the Velvet Underground, written by Lou Reed. It was first released on their 1967 debut album, The Velvet Underground & Nico. Mistrial is the fourteenth solo studio album by American musician Lou Reed, released in June 1986 by RCA Records two years after his previous album, New Sensations (1984). Fernando Saunders and Reed produced the album. "White Light/White Heat" is a song released by the American rock band the Velvet Underground in November 1967, from their second studio album White Light/White Heat. "Better" is a song by American rock band Guns N' Roses, featured on their 2008 sixth studio album Chinese Democracy. It was sent out as the second radio promo from the album, after "Chinese Democracy", but was not commercially released as a single eligible for international sales charts. Crown the Empire is an American metalcore band formed in 2010 in Dallas, Texas. They have released one EP and three full-length albums. "This Means War" is the third single released from Hail to the King, the sixth studio album by American heavy metal band Avenged Sevenfold. The record was released on July 4, 2014 via Warner Bros. Records. This song was also featured in WWE 2K15. ↑ Hogan, Marc (September 19, 2011). "Lou Reed, Metallica Post 30-Second Collabo Preview". Spin . Retrieved May 22, 2013. ↑ Fricke, David (September 28, 2011). "Lou Reed and Metallica - "The View"". Rolling Stone. Retrieved May 22, 2013. ↑ "The Video for The View Debuts on December 3". 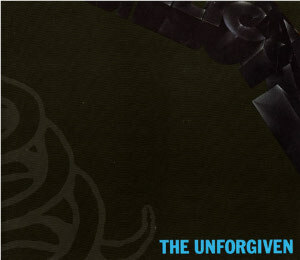 LouReedMetallica.com. December 2, 2011. Retrieved January 26, 2013.